Red Hat, Inc., the world's leading provider of open source solutions, today announced financial results for the first quarter of fiscal year 2019 ended May 31, 2018. “The move to hybrid cloud architecture continues to be a strategic priority for our customers. 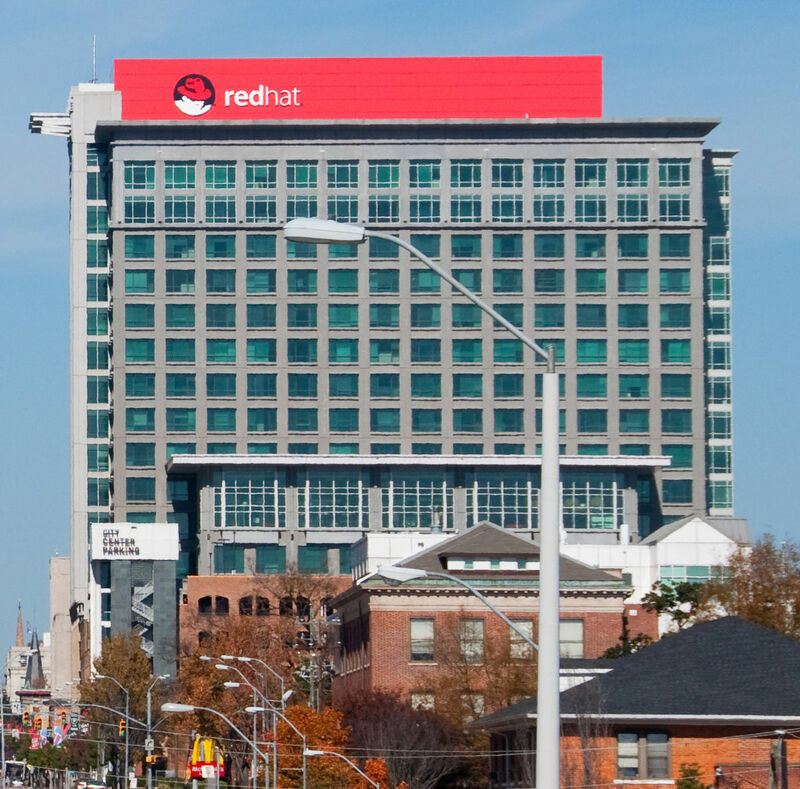 We again delivered strong revenue growth in Q1 as customers continued to adopt our cloud enabling technologies for their applications,” stated Jim Whitehurst, President and Chief Executive Officer of Red Hat. “For instance, we are driving strong growth in both subscription and services revenues for our OpenShift technologies as more customers modernize their applications in Linux containers for their hybrid cloud and digital transformation in transition, which requires that the standard be applied to all periods presented. The adoption of ASC 606 did not materially impact our total revenues as previously reported for fiscal years 2018 and 2017 and it had no impact on net cash provided by or used in operating, investing or financing activities. The primary impact of adopting ASC 606 relates to the deferral of incremental commission and other costs of obtaining contracts with customers. Previously, we deferred only direct and incremental commission costs to obtain a contract and amortized those costs over the contract term as the revenue was recognized and, under the new standard, we now also defer related fringe benefit costs. The results in this Press Release apply these changes to the current period and adjust prior periods, which are detailed in the Supplemental Information section of the Press Release. Operating Income: GAAP operating income for the quarter was $112 million, up 25% year-over-year. After adjusting for non-cash share-based compensation expense, amortization of intangible assets, and transaction costs related to business combinations, non-GAAP operating income for the first quarter was $168 million, up 19% year-over-year. For the first quarter, GAAP operating margin was 13.8% and non GAAP operating margin was 20.7%. Non-GAAP references in this release are detailed in the tables below. Net Income: GAAP net income for the quarter was $113 million, or $0.59 diluted earnings per share (“EPS”), compared with GAAP net income of $75 million, or $0.41 diluted EPS, in the year-ago quarter. • Revenue is expected to be approximately $3.375 billion to $3.410 billion in USD. is expected to be approximately 23.9%. approximately 22.5% before discrete tax items. • Operating cash flow is expected to be approximately $1.035 billion to $1.045 billion. • Revenue is expected to be approximately $822 to $830 million in USD. is expected to be approximately 23.0%. income and an estimated annual effective tax rate of 22.5% before discrete tax items. Second quarter non-GAAP operating margin guidance is derived by subtracting the estimated impact of non-cash share-based compensation expense of approximately $55 million and amortization of intangible assets of approximately $10 million. Second quarter diluted non-GAAP EPS guidance is derived by subtracting the expenses listed in the previous sentence and non-cash interest expense related to the debt discount of approximately $5 million and an estimated annual effective tax rate of 22.5% before discrete tax items. discrete tax benefits related to share-based compensation that are included in second quarter diluted GAAP EPS. Second quarter diluted non-GAAP EPS excludes approximately 6 million diluted shares related to the convertible notes, which are expected to be offset by our convertible note hedge transactions. A live webcast of Red Hat's results will begin at 5:00 pm ET today. The webcast, in addition to a copy of our prepared remarks and slides containing financial highlights and supplemental metrics, can be accessed by the general public at Red Hat's investor relations website at htt p:/ /i nvestors.redhat.com . A replay of the webcast will be available shortly after the live event has ended. Additional information on Red Hat's reported results, including a reconciliation of the non-GAAP adjusted results, are included in the financial tables below.